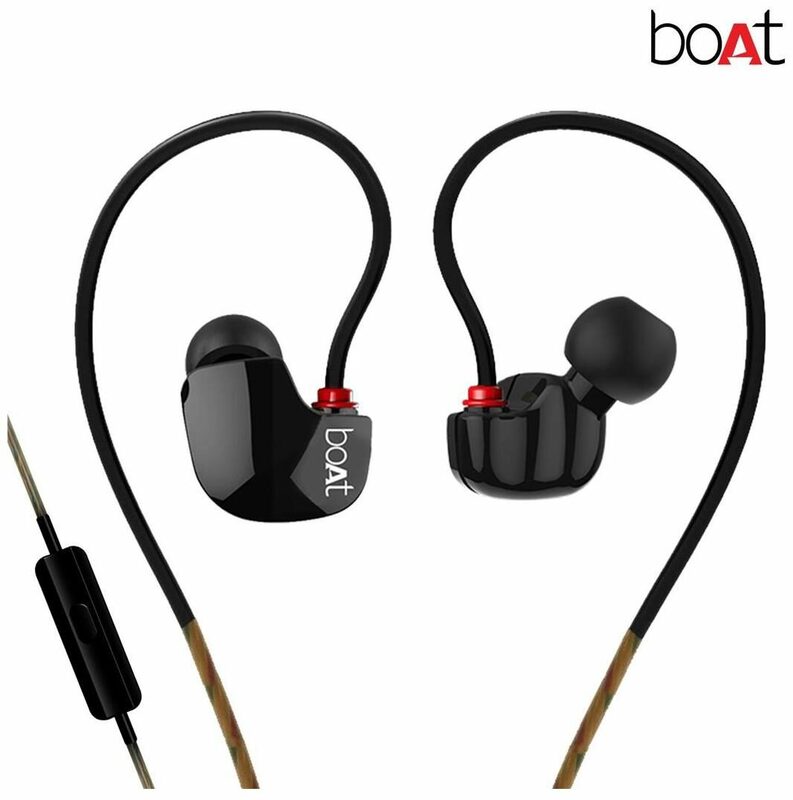 boAt Nirvanaa Uno in-ear earphones are designed to give you an experience which no other product can match. Created to compliment your lifestyle, Uno is a definite fashion statement. Its gleaming ergonomic design enables for easy adjustment and optimal wearing comfort fit for your ears while providing you the true sound forever. As the earphones feature 7mm drivers, they deliver you the perfectly balanced clear sound. In-built noise isolation mic ensures you don't miss those important calls, it features a HD microphone to make crystal clear calls. The in-line microphone with one multifunction button enables you to manage your songs with ease, making life easier on the go. Fits you better than your t-shirt. Its impeccable fit won't let you take these wonderfully amazing earphones off. The memory wire enables you to achieve the perfect fit with ease. Still looking for more? Uno comes with an amazing amalgamation of style with protection. To ensure additional protection from the threat of corrosion or damage Uno comes with layers of superior tough wire coating. While the earphones are extremely user-friendly and stylish, extruding premium coating onto wire cable is a manufacturing process that we've performing and refining since our company's inception.